CORVALLIS, Ore. — Katie Campbell’s play showed how pumped she was for the NCAA tournament. Campbell had 15 points, hitting five three-pointers, and fifth-seeded Gonzaga downed No. 12 seed Little Rock 68-51 on Saturday in a first-round game. The five three-pointers matched Campbell’s career high at Gonzaga. Zykera Rice added 18 points and six rebounds for the Bulldogs (29-4), who advance to play host Oregon State, the fourth seed on Monday. Tori Lasker led the Trojans (21-10) with 16 points. The loss snapped a six-game winning streak for the Sun Belt tournament champions. Gonzaga, ranked No. 16 in the AP’s final Top 25 of the season, led by as many as 21 points in the first half and cruised to the win. “We pretty well dug ourselves a hole in the first quarter, and then after that I thought our kids worked extremely hard, came back and played well. Played hard,” Little Rock coach Joe Foley said. The Bulldogs were shaken in the West Coast Conference Tournament, losing senior starter Laura Stockton and reserve guard Jill Townsend to season-ending injuries. Stockton, the daughter of Gonzaga great John Stockton, was on the bench in street clothes for Saturday’s game, a brace on her left leg. Townsend was also there, on crutches, to the surprise of her teammates. “When the bus pulled up and we saw her, there was so much excitement in the bus,” Campbell said. 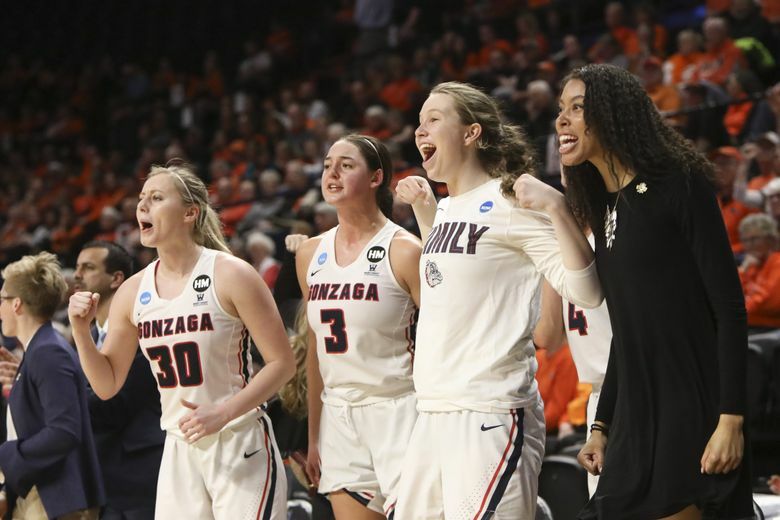 In the fourth quarter of the team’s 82-68 loss to BYU in the WCC tournament final, Zags coach Lisa Fortier left to join her brother in the hospital. He later died of complications from muscular dystrophy. Despite the conference tournament loss, the fifth seed is the highest in Gonzaga history and the selection committee kept the Bulldogs close to home. Jessie Loera started at point guard for Stockton against the Trojans. Gonzaga has made the field at the NCAA tournament 11 times, including the past two seasons. The Bulldogs’ best finish was an Elite Eight appearance in 2011. They’ve made the round of 16 four times. Little Rock won the Sun Belt tourney title game over South Alabama 57-56 for its second straight conference championship. The Trojans had been to the NCAA tournament six times since 2010, and they’ve won twice, including an upset of Texas A&M in the tournament opener in 2015. Gonzaga jumped out to an early 16-0 over Little Rock, which had five turnovers in the span. Little Rock’s first basket came on a layup from Ronjanae DeGray with 3:05 left in the first quarter. Ronjanae DeGray is the team’s leading scorer, averaging 14.6 points and 6.9 rebounds going into Saturday’s game. She finished with six points and seven rebounds. The Bulldogs led 21-2 going into the second quarter and the rout appeared to be on, but Little Rick pulled within 29-20 on Terrion Moore’s jumper. Gonzaga led 32-20 at the half. “They hit us pretty hard in the beginning,” said Lasker, who got the Trojans within single digits again with a layup that closed the gap to 42-33 in the third quarter.